I'm caught in-between wanting to explain that it feels like I've been running this blog a lot longer than 2 years, but also "WHERE HAS THE TIME GONE?!" I feel like I just hit publish on Like A Harte's first birthday post and here I am trying to find the words to thank you for sticking with me another year. I feel like I've changed a lot in the past few months and I love being able to share it with you over my different social channels. I love reading all of your comments, how people have found me, getting asked advice and giving it - as well as keeping in touch with so many of you in general. So many of you have blogs that inspire me everyday and I love that we're all a little community that support each other. You are incredible. Thank-you, thank-you, thank-you. Great pictures and super dress!! Congrats on two years! I just hit one year and it's just crazy how much has changed, isn't it? Congrats for the two years! Congratulations on two years of amazing blogging! Really cute photos as well - what a unique idea too with the balloon! Congratulations on 2 years! Your blog is truly amazing, keep up the great work! Oh I love the cape dress, cue had a sheer sort of version i now regret not buying. Beautiful pictures! And happy anniversary! 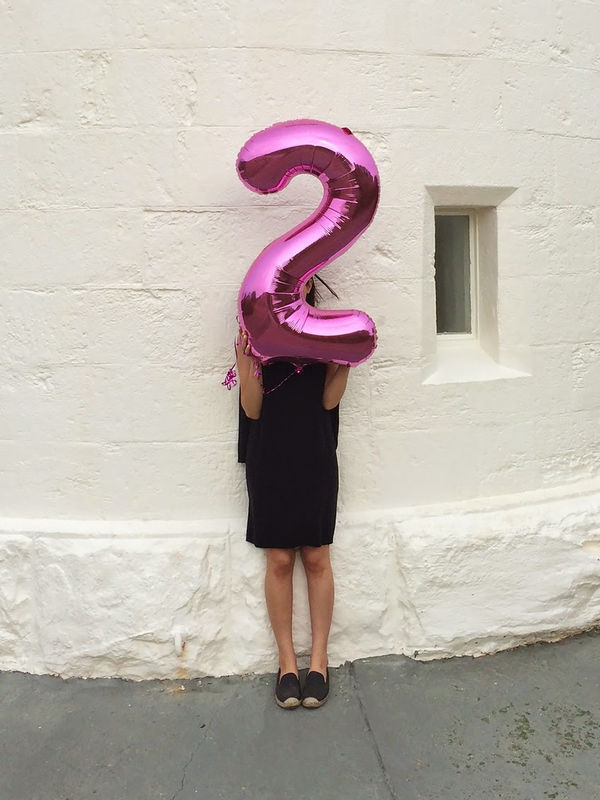 happy 2nd blog birthday! It's like your baby isn't it? 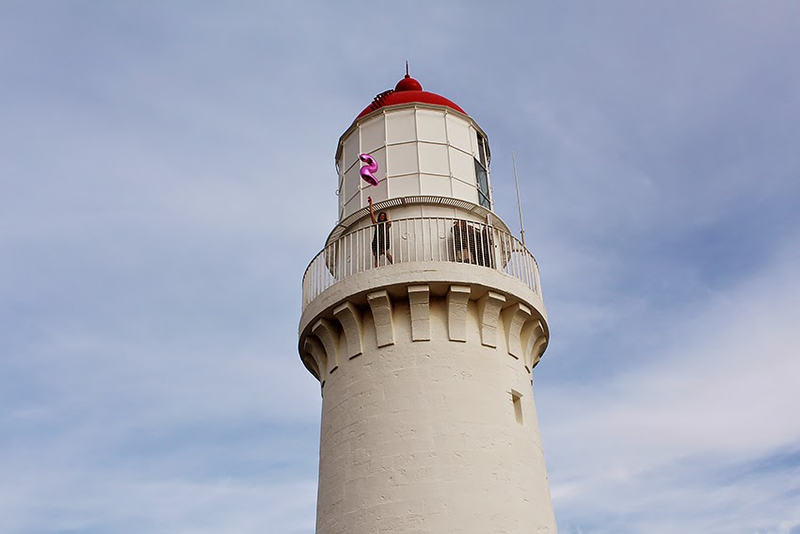 :) Well done and congratulations- here's to another year of beautiful blog posts! Love the photos with that balloon! And happy blog anniversary! 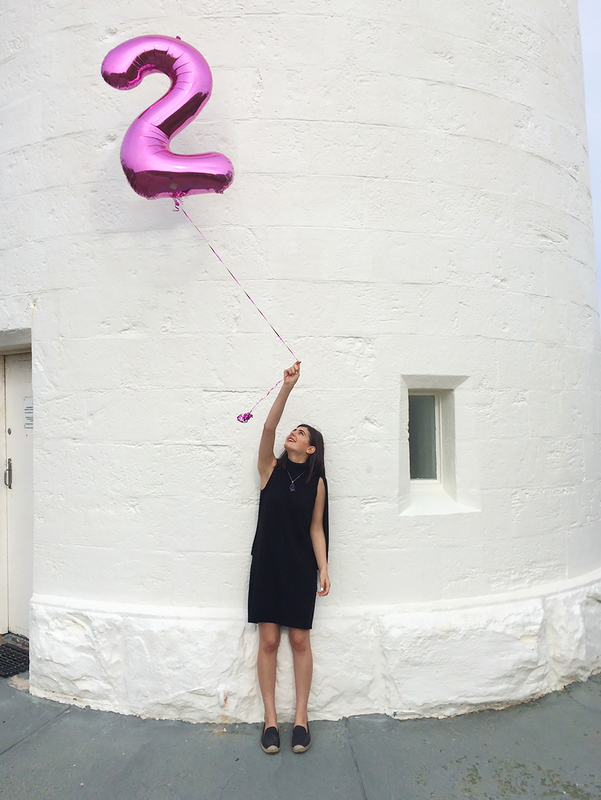 HAPPY SECOND BIRTHDAY TO YOUR BLOG! You are so darn adorable! Love these photos! That dress and those shoes look so comfy! Here's to many more years of being fabulous! 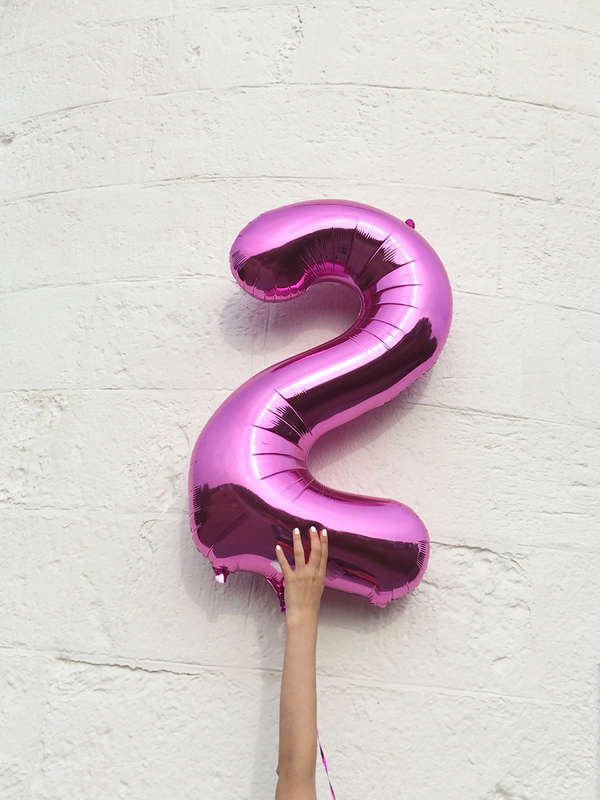 Congrats on your blog's second bday! What a fun blog post to celebrate it! Thanks for always stopping by!! Congratulations in advance to you too! !